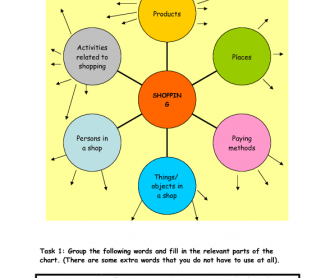 It is an intermediate-level worksheet on shopping. It contains questions, picture descriptions, role-plays (buying and complaining) and shopping-related vocabulary development. The students are also asked to talk about advantages and disadvantages of shopping centres and corner shops. 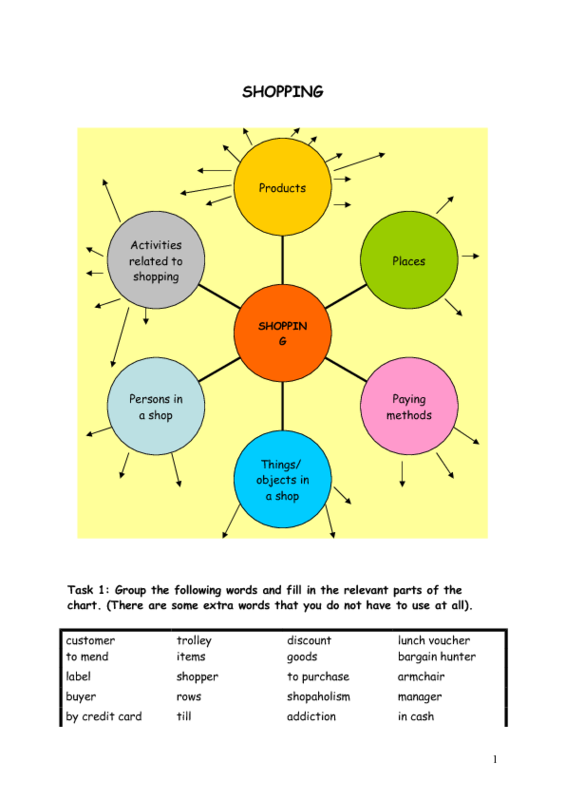 Moreover, they have to categorize and define certain shopping-related words/ phrases.